Effective March 5, one high school and two middle school buses will have a number change for students to note for boarding at school. High School bus 136 will be bus 132. 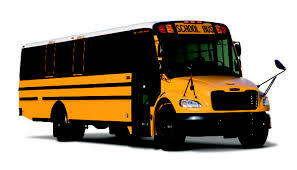 There is no change to the elementary bus numbers and all routes are remaining the same. Students can find their bus in the usual line up order at dismissal. Only bus numbers are changing for these three HS/MS buses.